Step 1: In a medium saucepan over medium-high heat, bring the vinegar, water, sugar, and salt to a boil. Add the onion and remove from the heat. (Make sure the onion is submerged in the liquid.) Let the onion sit for 1 hour before serving. 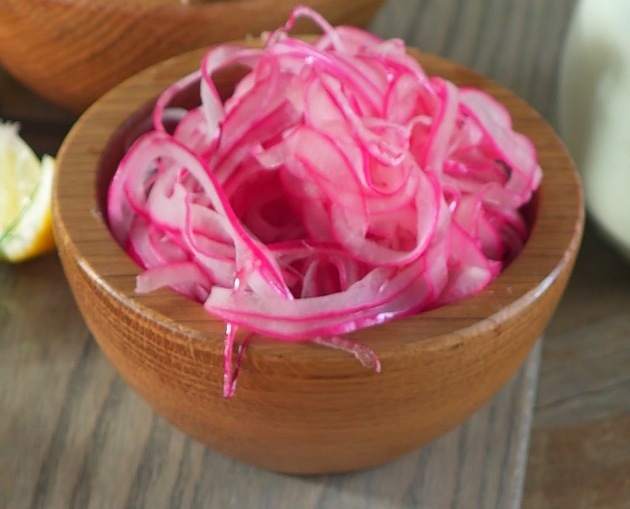 Store any leftover onion in its brine in a jar in the refrigerator for up to 3 days.